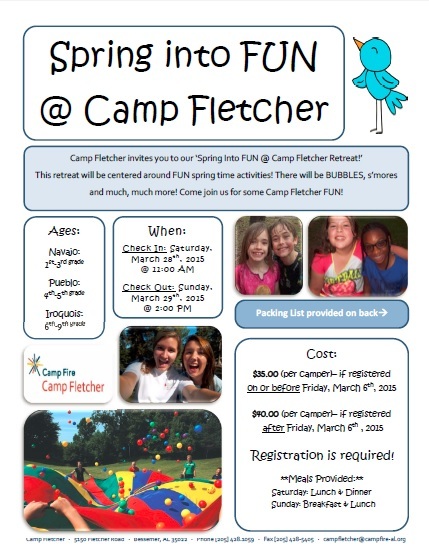 Later this month, Camp Fletcher will be hosting our spring retreat, Spring into fun! We hope you’re as excited as we are for a weekend full of s’mores, bubbles and other fantastic spring activities. Today is the LAST DAY for priority registration, which ensures you a spot & saves you $5! Registration is required for this event, so be sure to CLICK HERE to download the event flier, and REGISTER ONLINE TODAY! 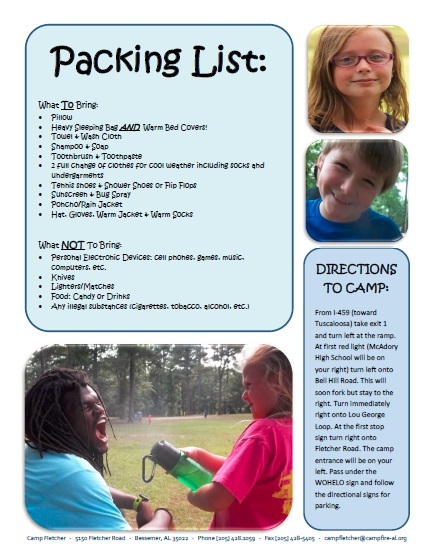 Previous Article 10 Tips for an awesome summer at Camp Fletcher! Next Article Staff Spotlight: Janis!